Discussion in 'Working the Steel' started by SDMay, Nov 6, 2016. Here are my paring knives that I am making for Christmas presents. They are based on Dan's smallest KN16 pattern that I shrunk 25%. Blade length is around 3.25". The pattern for them was the same but they all came out a bit different. Good thing I am not in a precision field. I will post some pics of handle construction as I go. I was going to do a WIP with this but with four I wanted to get done as quick as I could. Please take a look and let me know what you think. Criticism is appreciated. 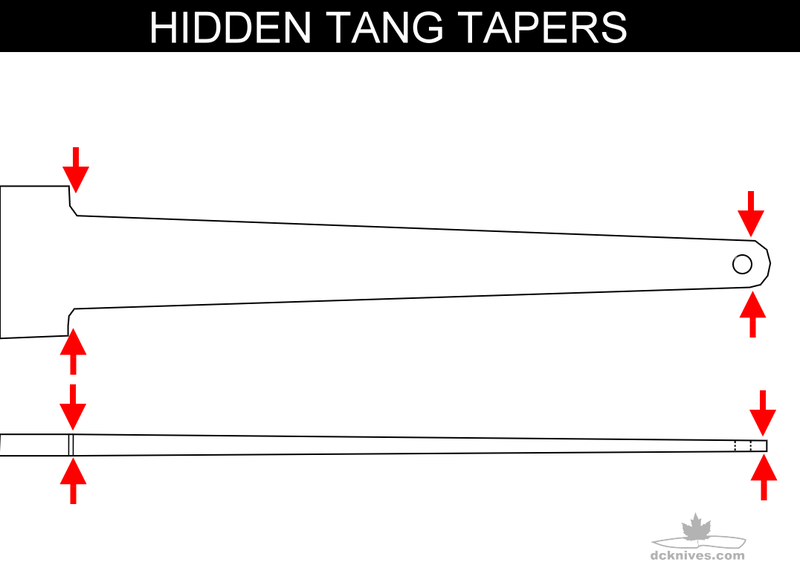 One suggestion is to make sure the tangs have nice tapers. Both in height and in width. This becomes very important when fitting the handle. They should make nice little Christmas presents.